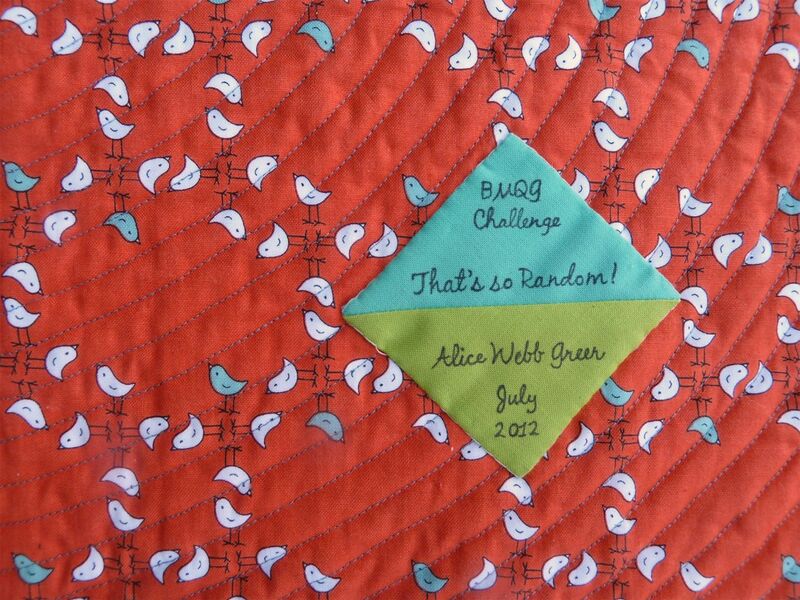 Here's my entry for the BMQG Lowell Quilt Festival challenge quilted and bound. 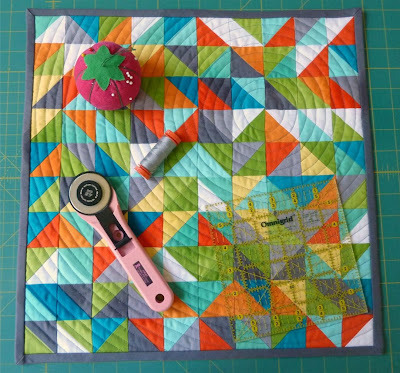 After piecing all those HSTs I wanted a simple quilting design. I went with an off-center concentric circle. I drew the first circle on the quilt but then just used the edge of my walking foot for the subsequent circles. The smallest circles were tricky but it definitely got easier as I moved away from the center. I think the curved lines look cool with all the sharp angles of the HSTs. Finished quilt is 15" x 15". Fabrics: Kona Cotton Cyan, Azure, Candy Green, Lime, Chartreuse, Buttercup, School Bus, Tangerine, Medium Gray, Coal, White. What a beautiful labor of love! It is just perfect. Looks awesome! I can't wait to see it in person. I love your choice of quilting. This is absolutely stunning! The quilting choice is perfection. The colours are awesome. Love everything about this! I absolutely love this! 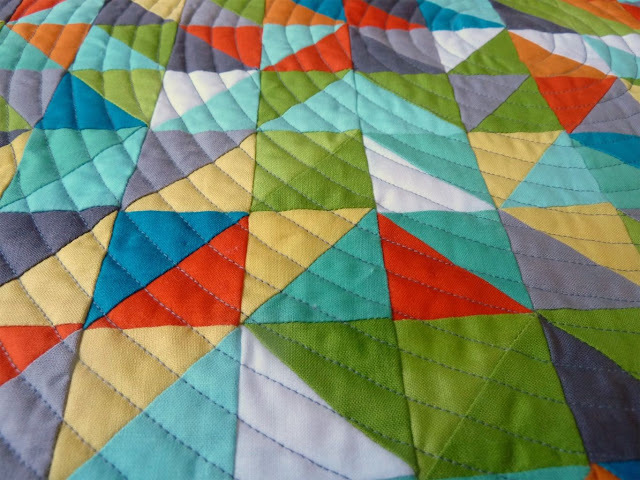 The triangle pattern is one of my favorites-- and your curly cue quilting looks sooo good! I also love that it's not centered. stunning! 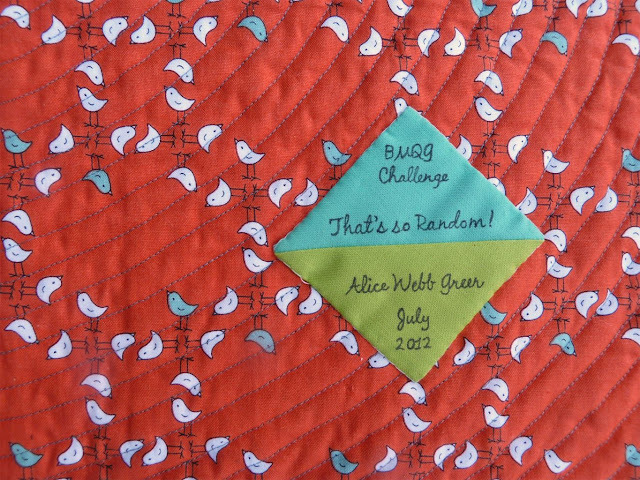 you've created such movement with your quilting lines and use of color. 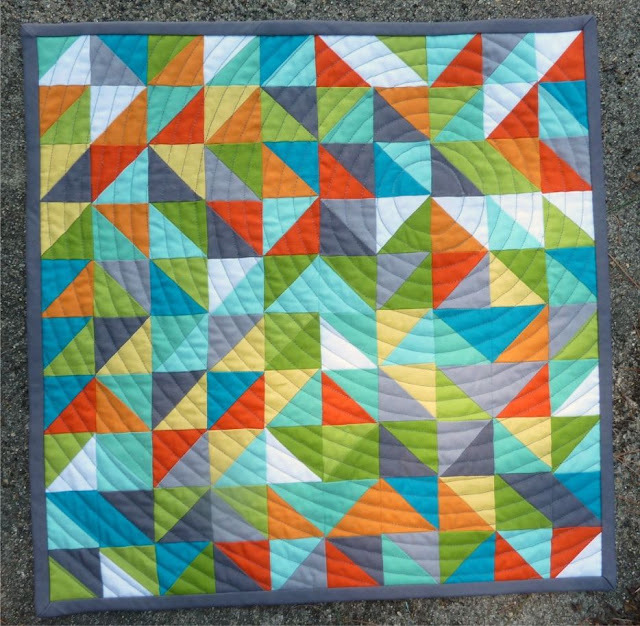 I lvoe this quilt! this is GORGEOUS!!!!! Any tips on the best technique for the HST's? Do you trim off the tips, for example? Wonderful work! The circle FMQing really makes this a standout. Congratulations!